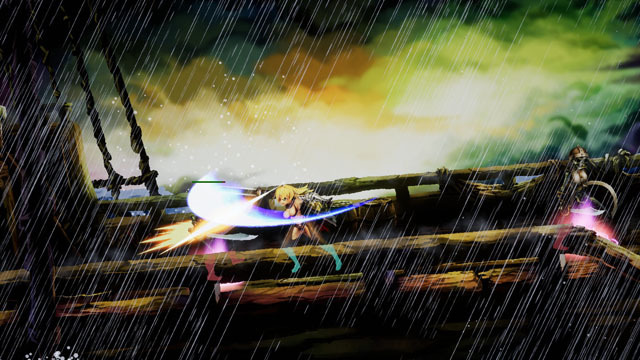 The Vagrant, from O.T.K Games, is an action-RPG set a in a beautiful fantasy world and inspired by the works of Vanillaware. The game stars a travelling "sellsword" named Vivian (The Vagrant) who hopes to find her family and learn the truth her dark origins. In doing so, she must hack and slash her way through dozens of unique enemies across the land of Mythrilia, passing through the houses of a seaside town, and into mountainous landscapes, dense jungles, ravaged fortresses, and barren landscapes. Players will find numerous weapons and pieces of armor that can be upgraded independently, and they can upgrade Vivian's skills along a robust skill tree as she levels up. The game is already available (for an unusually low price) for PC via Steam Early Access, and is planned for a full release in February or March of 2018. Check out the game - and its ludicrously luscious artwork - in the trailer below.